Recently a Kashmiri student of Aligarh Muslim University (AMU), Manan Wani, was killed in an encounter in Handwara in the Kashmir Valley. 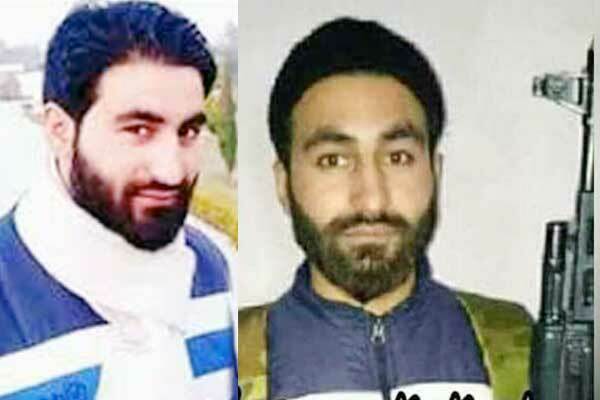 Two other fellow terrorists belonging to the Hizbul Mujahideen (HM) were also killed with him. Manan Wani was pursuing a PhD course in Geology before joining the Hizbul Mujahideen. 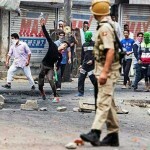 …the problem in Kashmir is not about democracy or development. It is purely engendered by religious ideology in resonance with Pakistan. Five months ago, in May 2018, an associate professor of Kashmir University, Mohd Rafi Bhatt, was killed along with five HM terrorists. The professor who taught Sociology had just joined the HM. There is a message in these two incidents. The message is that the global jihadi ideology overrides sociology, geology etc. It also underscores the fact that the problem in Kashmir is not about democracy or development. It is purely engendered by religious ideology in resonance with Pakistan. Mehbooba Mufti lamented that Kashmir is losing educated boys every day. It is because Abdullahs and Muftis, all through these years have done nothing to wean away the Kashmiris from the narrative of the global jihad. In fact, they are white collar accomplices to this whole project. Manan Wani’s status of a PhD student is being touted as ‘scholar’ and his elimination as purge of Kashmiri intellectuals. It will be worthwhile for these spin doctors to ascertain that how many PhDs are serving in the police and security forces, as jawans, sepoys, and constables. The truth of the matter is that the bigger the educational degree of a jihadi, the more dreaded or beastly, he or she is. Omar Sheikh, the man who carried out so called ‘halal killing’ of the journalist Daniel Pearl in 2002, is a product of London School of Economics. As per some sources, Baghdadi was a PhD in Education. Similarly, Al Zawahiri, who now heads the Al Qaeda, has a Masters Degree in Surgery. His predecessor and mentor, Osama Bin Laden had degrees in Engineering and Public Administration. As per the National Investigating Agency (NIA), of the cases registered against individuals having ISI connections, nearly 40 percent of them are engineering students. The US Department of Homeland Security funded a $12 million project ‘Study of Terrorism and Responses to Terrorism’ (START). The research team comprised 30 scientists. The study revealed that 90 percent of the jihadis came from caring families, 63 percent had gone to college. The terrorists who perpetrated 9/11 were well educated and belong to economically well off Saudi and Egyptian families. In the cloak of education, Pak sponsored jihadis from Kashmir are infiltrating various colleges and universities in the country. Recently, on Oct 09, three of them were apprehended in Jullundur in Punjab. They constituted a module of Ansar Ghazwat-ul-Hind. These terrorists operated from the hostel. For the sake of cover they had enrolled in Engineering and Management College. This module was busted by a joint operations of Punjab & J&K police. This joint operation was only possible because there is Governor rule in J&K. Earlier Punjab Police apprehended one Ghazi Ahmad Malik in Patiala. He , a resident of Shopian was enrolled in a Polytechnic College. He is a close relative of Adil Basir Sheikh, the SPO who decamped with seven rifles while deployed as part of security team of a MLA. He then submitted himself to the HM. Thus Pak sponsored global jihad through the aegis of Kashmiri has growing tentacles in educational institutions all over India i.e. from JNU to AMU, from Osmania to Jhadavpur , and from Kerela to Punjab. Clearly Pakistan is widening the arc of jihadi proxy war. The irony is that these people, who are touting the educated and scholarly status of some of these jihadis, are steeped in the global jihad ideology , which destroyed the Nalanda University and the library in Alexandria. During the partition, some students of the AMU had spat on the face of Maulana Abdul Kalam Azad for his advocacy of Hindustan for Muslims. No wonder that the students union of the AMU still has so much affinity with Jinnah, whose portrait they are not prepared to part with. During the partition, some students of the AMU had spat on the face of Maulana Abdul Kalam Azad for his advocacy of Hindustan for Muslims. In 1979 there was an altercation between AMU students and locals at Dadri Railway Station over eve-teasing. The students were at the receiving end for their misdemeanor. They chose the few, rather negligible, Hindu families quartered in the AMU as their target of retaliation. 60-70 students entered the house ofthe estate officer.All the children of this officer were born and educated in AMU campus. The students ransacked their house, beat up the family, outraged the modesty of women. In the gang was also a hockey-stick wielding professor. This professor was the son-in-law of former President of India. One Shia, from the non-teaching staff tried to rescue the family, he too was abused and beaten. He was abused as belonging to the ilk of those responsible for decline of Muslim power in India. All the shops owned by Hindus in the adjacent Zakaria market were burnt. The famous shop Kitab Ghar near the Suleman Hall was also burnt. One MBBS student Pradeep Johri was killed in the heart of the campus. His body lay for three days as the accomplice university administration ensured that the police was not allowed to enter. Pradeep Johri’s uncle was a professor in the same AMU Medical College. Unlike the rest of the university, 90 percent students in the engineering and medical college were Hindus, who were there by sheer dint of merit. It was with the design to deter Hindus from joining these institutions that Johri was murdered in full public view. When that did not deter, Interview was introduced for manipulation of admission into the Medical College. This fraud continued for some years till it was struck down by the judiciary. Well in Sir Syed’s AMU there was an interesting case of Nikah Halala between a chemistry professor and his Phd student. This was reported in detail by Sunday Mail. The Phd student had married a girl from the campus. The marriage got strained over financial difficulties, because the Phd lingered, as did the prospect of job. In a fit of rage the Phd student blurted triple talaq. When tempers cooled there was deep regret and the student wanted to rescind. He consulted his paternal mentor, the professor. The professor offered ‘nikah halala’ as per the religious tenets, so that the couple could be re-united as soon as possible. The girl never returned to her former husband!!! The Phd went literally mad. AMU straddles between India and Pakistan in several ways. Irfan Habib, the historian, who claims knowledge on all facets of history, except 1400 years of Islamic history, has a brother who is a citizen of Pakistan. What was the latest mission of HM jihadis like Manan Wani? It was to derail democracy. It was to terrorize Kashmiris against participating in the local elections. The Abdullahs and Muftis also have strong connections to the AMU. Sheikh Abdullah was educated in this University and so was Rubaiya Sayeed, sister of Mehbooba Mufti. Her staged kidnapping even as her father Mufti Mohammad Sayeed was the Home Minster of India, was to herald global jihad in Kashmir. What was the latest mission of HM jihadis like Manan Wani? It was to derail democracy. It was to terrorize Kashmiris against participating in the local elections. In this regard, the National Conference (NC) and the PDP are on the same page. They boycotted the elections. They appealed to the Supreme Court that in view of the elections, hearing on Article 35A petition should be postponed. Once it was postponed there was no reason to boycott the elections. But Pakistan wanted it that way. There are strong reasons for boycott of elections by the NC and the PDP. The main reason is of course, Pakistan; the second reason is that the Muftis and Abdullahas are apprehensive that these elections may throw up new leaders; and third being that the elections may usher in new internal dynamics within the state. It is for no reason, that most acts of terror by the jihadi groups have occurred in South Kashmir, PDP’s stronghold, during this period. These elections are also a mirror to the Indian Establishment regarding the reality of J&K. The reality is that Valley based political parties have no concern for the democratic aspirations of people of Jammu, Kargil and Laddakh, where the voting percentage has been very high. The moot question is whether the jihadis in form of militants, separatists and mainstream politicians are really serious about Islam, jihad or Kashmir? Is their patron Pakistan serious about it? Are the radicals in AMU, JNU, Jadhavpur, Osmania are serious about it? Are the jihadi leaders like Hafiz Saeed, Masood Azhar and Sayeed Salahudeen serious about it? Are the Maulvis serious about it? Not the least. If that had been the case, at least some of them would have raised storm about the treatment of Uighur Muslims in Xinjiang province of China. In the Xinjiang province, men cannot sport beard, women cannot wear burqas, officials cannot observe Ramzan, children cannot be named Mohammad, the concept of ‘halal’ has been banned and there is a massive anti-burial drive launched by Xi Jinping since 2012. The Chinese dispensation is of the belief that burials are the cause of shrinking agricultural land, thus impacting on food security. Why the Kashmiri leaders and others who espouse the jihadi cause in the subcontinent, silent about China’s setting up of re-education camps for Muslims. Why the Kashmiri leaders and others who espouse the jihadi cause in the subcontinent, silent about China’s setting up of re-education camps for Muslims. It is because they revel in the fact that China as Pakistan is antagonistic, adversarial or even inimical to Hindu majority India. The former PWD minister of J&K, Naeem Akhtar in an interview had said that the main player in J&K is China and JeM is the adopted child of that country. 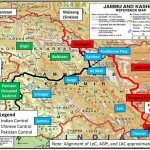 The Chinese are leveraging on JeM to keep India boxed in, so that the strategic alignment with the US is circumscribed. Pakistan as mentioned earlier vetoes all resolutions against China’s treatment of Uighur Muslims in 57-member OIC. The Kashmiri separatists therefore are religious hypocrites, who have two standards on Islam and jihad, i.e. one for India and another for China and Pakistan. Basically, Islam and Jihad is an instrumentality for the Kashmiri separatists and their allies to wreck India. This hypocrisy has reduced the Kashmir Valley into a moral waste land. As per a recent report in the Pakistan Newspaper, Dawn, about 70 Ahmediayas and Christians, who sought asylum in Thailand, are being deported. They complained of persecution in Pakistan. In all probability, they travelled through the sea route to Thailand. Why this dying desperation? Many Hazara Shias have perished in the mid-ocean, while escaping to Australia. The Pak state has driven out Shias, Ahamadis, Christians and Hindus. It is a consequence of Wahabisation of Pakistan. The same Wahabisation of Kashmir has driven out half a million Hindus from Kashmir Valley. The common factor is Wahabisation and Radicalisation. The Pakistan state is least ashamed out these minorities including Hindus leaving the country, but the Indian state is also not ashamed about Hindus being driven out from one of its own pieces of territory. The tragedy is that Pakistan is an unapologetic Sunni state and India prides in being a secular state. After having fought three wars and shed so much of blood of our men in uniform, with so much security forces around, if Hindus were driven out in their own country, then there are definitely grave inadequacies in our security thinking and security architecture. And that grave inadequacy is that we never devoted our energies or applied our mind on the ideology, which created Pakistan in 1947 and which now consumes Kashmir. During the Great Game, to cater the threat from Russia, the British had created a security architecture by dividing the Pashtun territory into several parts, i.e. 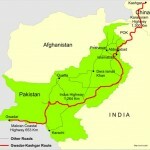 Balochistan, NWFP and FATA. We on the other hand persist with an architecture, which allows anti-national forces living in the Valley, which is just seven percent of the area of J&K, to destabilize the entire country. Very we’ll researched article.well dome Mr. Singh. do you have a twitter id mr. RSN Singh?